Year 5 kicked off their final summer topic, 'Champions' this morning. They were very lucky to have some inspiring athletes come talk to them about how they became successful in their sporting careers. 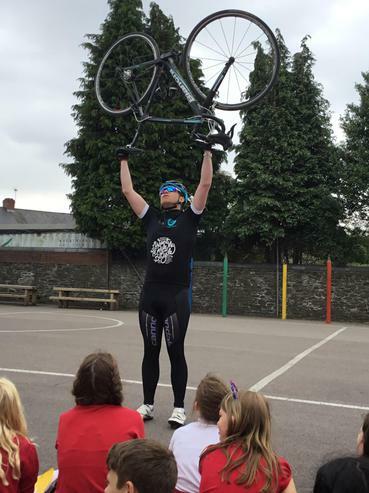 Our very own Mrs Jones talked about her running career and Mr Warlow brought in his cycle gear to give us an insight into his fabulous cycling career. The children were in awe of the dedication and commitments both teachers give when training for a race, and couldn’t believe their luck to have such talented teachers teach them!! Children planned before hand questions to ask these talented sport stars which will inspire them to then plan their topic for the remainder of the year. I’m sure you’ll agree this topic sounds like loads of fun!! Year 5's topic this term is 'Scream Machine' and what better way to experience first hand, than to ride those 'scream Machines'. 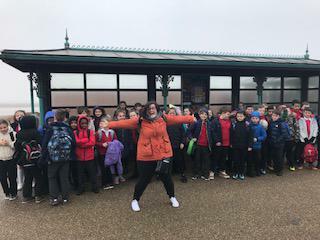 We set off to Weston-Super-Mare to the Grand Pier to their indoor theme park to experience some of the countries scariest rides. We were thrown around by the Robocoaster, scared by the Ghost train, swung by the Sidewinder and dropped by the Freefall!! 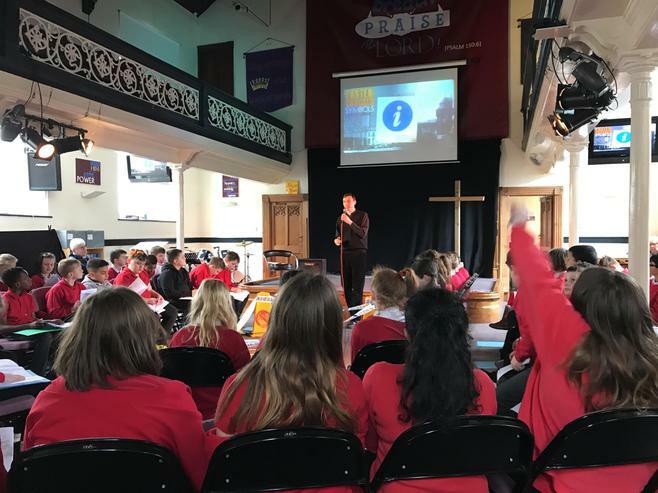 Year 5 visited Bethel Baptist Church in Whitchurch for a fantastic 'Easter Cracked' afternoon. They became investigators for the afternoon and found out all about the Easter story. Miss Broughton and Mr Warlow would like to thank all that attended yesterdays Gallery Sale and purchased pieces of artwork. Year 5 children worked exceptionally hard during the last half term studying Gallery and had created some amazing masterpieces that would put the likes of Picasso and Van Gogh to shame!! 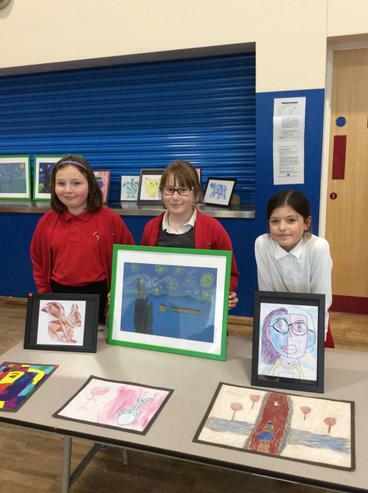 Da iawn Year 5! 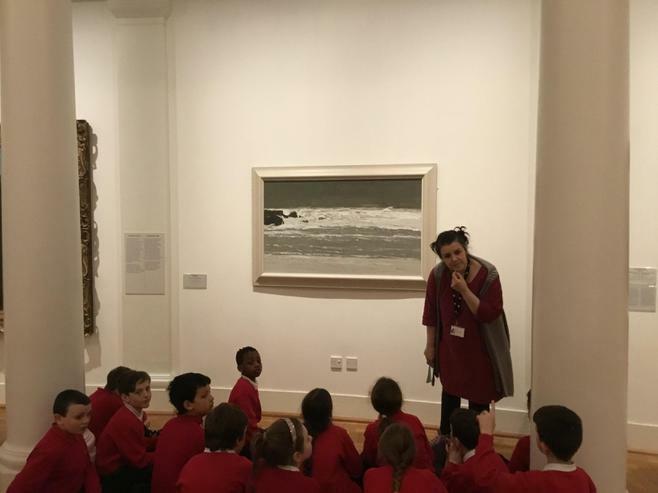 We have had a fantastic day visiting Cardiff Museum to explore one of Europe's finest art collections. There are five hundred years of magnificent paintings, drawings, sculpture, silver and ceramics from Wales and across the world, including one of Europe's best collections of Impressionist art at Cardiff Museum. Some of the paintings that are on show there include Monet and Renoir. After viewing the paintings we took some time to sketch some of the work these famous Artists are well known for. 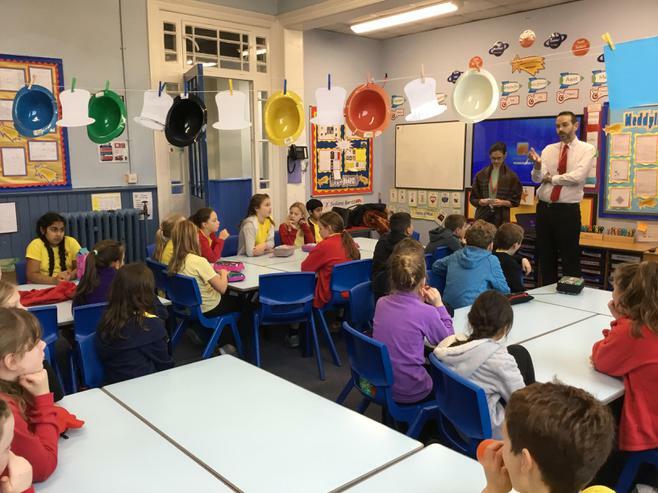 Civil Servants from HMRC visited Year 5 this morning to talk to us about the 'World of Work'. We discussed the value of a range of different objects and thought about how money is not always the most important factor when considering these things. The Civil Servants then encouraged us to think about the possible jobs that we would like to do when we are older. We had some imaginative and interesting thoughts ion how we would like to be employed when we grow up. Year 5 had an amazing treat today when Animal Zone came in to show the different types of Arthropods to help them with this terms topic ‘Beast Creator’. They got to meet a great range of Creepy Crawlies, which included Hissing Cockroaches, Scorpions and Dave the handlers hairy friend; Molly the Tarantula! Dave taught the children about the creatures' habitats, their diets, how to care for them and how they have evolved. 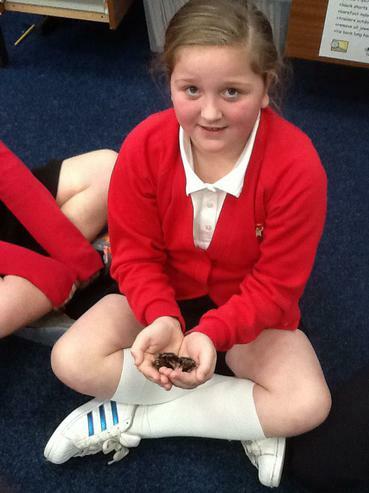 Let’s hope Year 5 have remembered it all ready for when they create their own Mini Beast!! 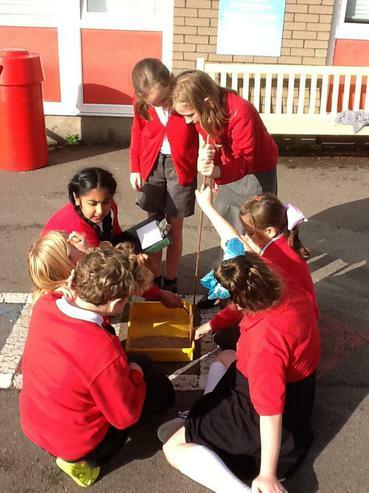 Year 5 continued STEM week by carrying out a science experiment to determine whether the height in which a pebble is dropped would affect the size of the crater it made. They first looked at the craters on Mars, which enabled them to make their predictions. Year 5 had lots of fun carrying out the experiment and used the information gathered to create a chart which recorded their findings. 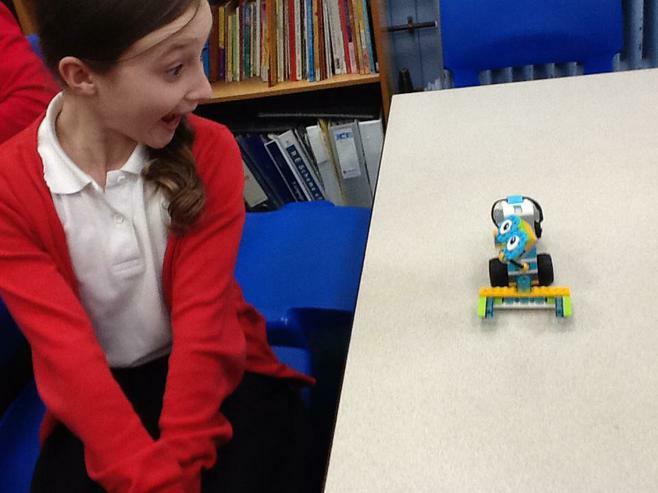 As part of their STEM week activities, Year 5 have been working with Lego to code and programme their own version of a Mars Rover space explorer. Each member of the group had a different role to carry out in order for their space explorer to collect objects. Why not ask your child what their role was? Year 5 have had a great start their first topic. 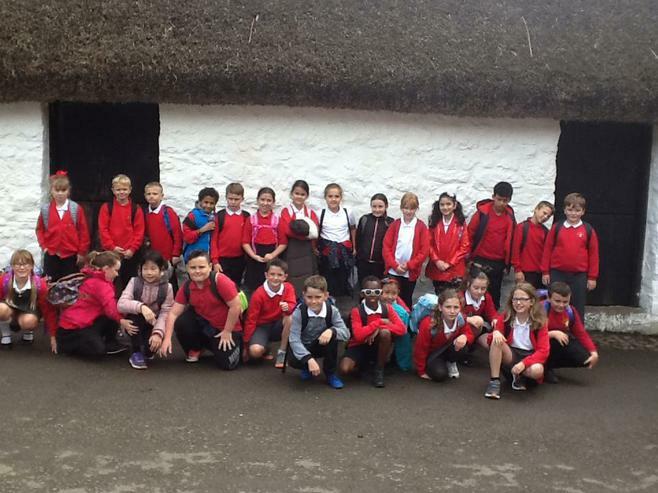 They visited St Fagans to compare and contrast the clothes of the gentry with those of wealthy farmers. They explored the Tudor buildings and enjoyed looking at how people during those times lived.